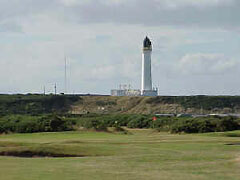 Moray Golf Breaks. Old Course - The Old Course was designed by Tom Morris over 100 years ago. It truly is a great links with plenty of gorse and pot bunkers. Some holes allow you to throw the ball right up to the green whereas others require precise pitch and run shots - a great test of golf. 18 holes. Par 71. 6,990 yds. Links. New Course - Converted into 18 holes in 1979 by the late Sir Henry Cotton, the New Course is also a stern test of golf. Many of the holes run alongside the Old Course's holes and although it isn't as long, its tighter fairways and smaller greens make it an examining challenge. 18 holes. Par 69. 6,004 yds. Links.